The New York Air Brake industrial site has been the subject of resurgent concern for north side residents in Watertown. 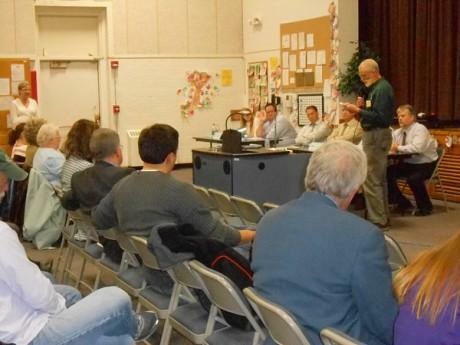 DEC spokesman Stephen Litwhiler reads out audience questions during a public meeting about pollution in the north side neighborhood at North Elementary School in Watertown. 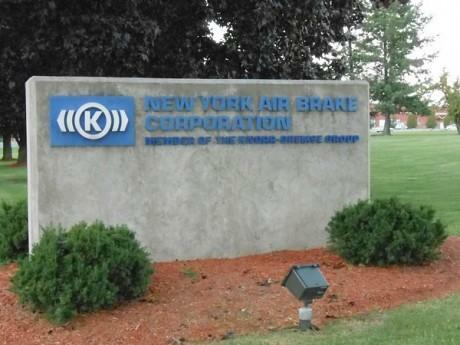 Joanna Richards looks at the legacy of the New York Air Brakes site in Watertown, N.Y. Despite being cleaned up in the 1990's, residents continue to experience health issues that they say may be linked to chemical residue in the environment from an earlier period in the operation of the facility. A polluted industrial site in Watertown, cleaned up in the late 1990s, has been garnering renewed public interest, for all the wrong reasons. Several current and former residents of the neighborhood have stepped forward, claiming exposure to chemicals from the site has made them sick. Andy Williams grew up on the north side of Watertown. He used to own his his construction business, employing 22 people. That was until one day about five years ago, when a hammer fell out of his hand. He couldn't pick it up. Then he started having mysterious leg cramps. Williams's health problems forced him to shut down his contracting business in 2008. Now, he says he's considered 100 percent disabled. Managing his condition has become his full-time job. He regularly goes to the Cleveland Clinic for treatment. His old neighbor, Scott Barker, now lives in Ohio, and invited Williams to stay with him for one of those appointments. During the drive to Barker's house, Barker told Williams that he, too, was experiencing neurological problems. As kids, the two had a fort next to the creek, playing in the water, catching tadpoles and even drinking from the creek. At the time, the waterway contained toxic chemicals. It was one of two creeks dredged by the state Department of Environmental Conservation as part of a larger cleanup of the New York Air Brake industrial site in the late 1990s. Polychlorinated biphenyls, or PCBs, were found there, as was the industrial solvent trichloroethelyne, or TCE, which is known to cause neurological problems. Peter Ouderkirk is an environmental engineer and the current project manager for the Air Brake site for the DEC. But Williams and Barker aren't sure the pollution is completely a thing of the past. Their illnesses certainly aren't. So they created a Facebook group for people concerned about the pollution. A representative of famous environmental activist Erin Brockovich came to speak, questioning whether the DEC was providing enough information about the cleanup. The DEC and the state Department of Health say there isn't an ongoing health risk. But the agencies can't speak to the issue of whether exposures before the cleanup might be responsible for people's sickness. Before 1980, it was still legal for companies to dump chemicals into the surrounding environment. 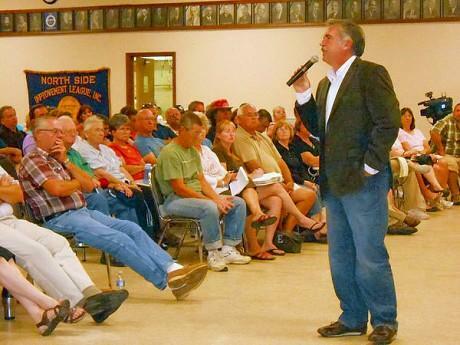 Other current and former north side residents have come forward at community meetings on the issue. Carol Molinari lives in Ogdensburg now, but she made Watertown her home for 35 years, and she had her children here. Two of her children suffer from a rare birth defect called craniosynostosis, which affects skull and brain growth. And Molinari says her kids aren't the only ones affected by that birth defect. She says six children who live or lived in the north side neighborhood were born with craniosynostosis. Molinari says she will submit a formal request to the state Department of Health to study disease patterns in the area. Meanwhile, Erin Brockovich's firm, the Vititoe Law Group, has agreed to represent people who believe the pollution from the New York Air Brake site is responsible for their illnesses. Editor's note: See also this report from North Country Public Radio's David Sommerstein on the cleanup and possible sale of GM's Massena property. Until now, scientists could only guess at the amount of plastic waste in the Great Lakes. This week, a team of researchers sets sail to conduct the first-ever survey of plastic pollution in the world’s largest fresh water system. “You really have to start with, ‘Is this even an issue in the Great Lakes? [With] 35 million people living around the Great Lakes, all the plastic you see blowing around, common sense is that it’s out there,” says Sherri “Sam” Mason, professor within SUNY Fredonia’s Department of Chemistry and Biochemistry. Is your city one of NPR's "Poisoned Places"? NPR and the Center for Public Integrity rolled out the results of their latest investigation today. The series - called Poisoned Places: Toxic Air, Neglected Communities - examines some of the 17,000+ facilities that emit hazardous chemicals into the air. 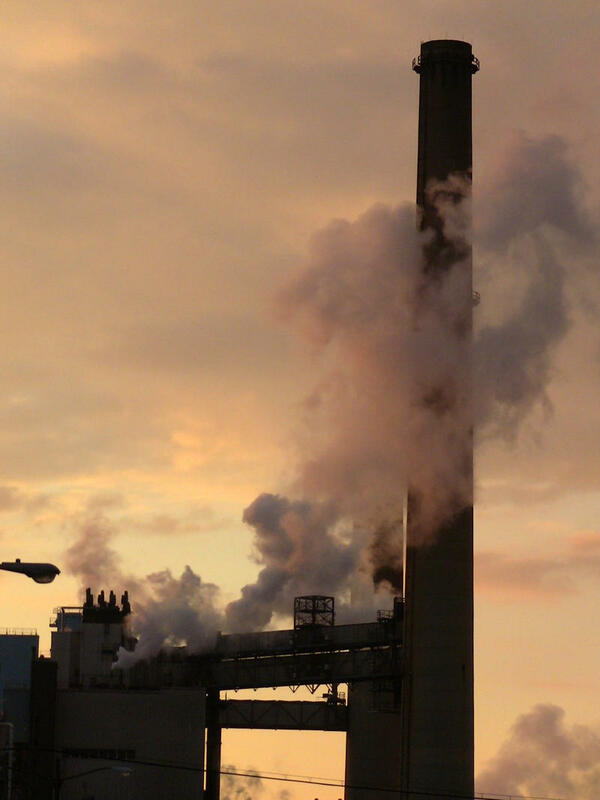 While the report singles out Ohio, Texas, Illinois, Louisiana, Wisconsin and Indiana for having some of the most egregious offenders, the legacy of manufacturing has definitely left its mark on upstate New York. Below are maps of our upstate cities - and the polluting facilities the EPA is keeping an eye on.